Hey guys, I’ve returned from a lovely few weeks in South Africa enjoying some down time with my family and soaking up as much sunshine as possible. It was a lovely time, catching up with everyone I miss so much while we live abroad and watching our children play together and develop bonds that will hopefully last a lifetime. 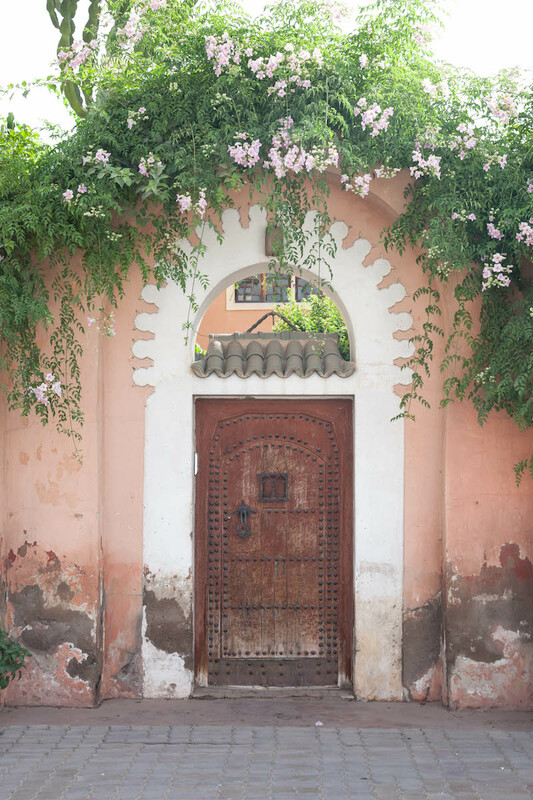 While away I co-taught in the Blogging Your Way e-course alongside Holly Becker and Jack and Tina Fussell and (between a very temperamental internet connection) it was so wonderful engaging with everyone and seeing their enthusiasm for blogging, styling and photography. 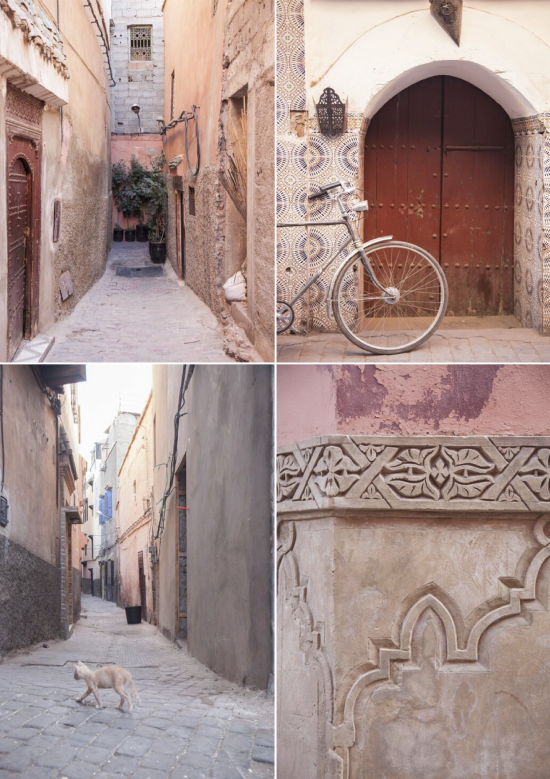 While I am still kinda in holiday mode though, I thought I’d share some holiday snaps from my recent trip to Marrakech, which I’ve been meaning to do for ages now. That place. It opened my eyes to a whole new world which I am aching to get back there. 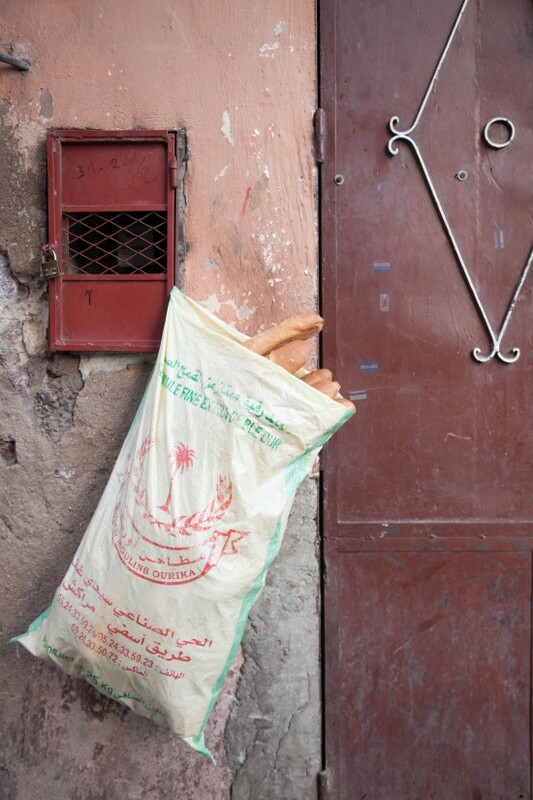 Here’s a glimpse into the city that stole my heart and an account of five days in Marrakech I will never forget. 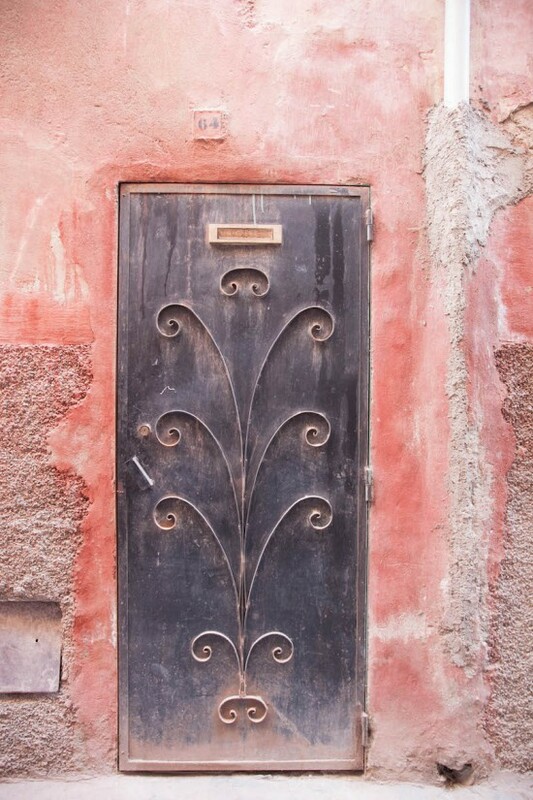 I went to Marrakech with my dear friend who left her life in Australia to come and live in my home town of Delft for 9 months. While she was here we celebrated 15 years of friendship and our birthdays (together, in the same time zone, for the first time in 7 years), so to mark the occasion we went away for some quality time together before she went back home. It was a wonderful adventure, which had us both in a complete daze for the entire duration of our stay. 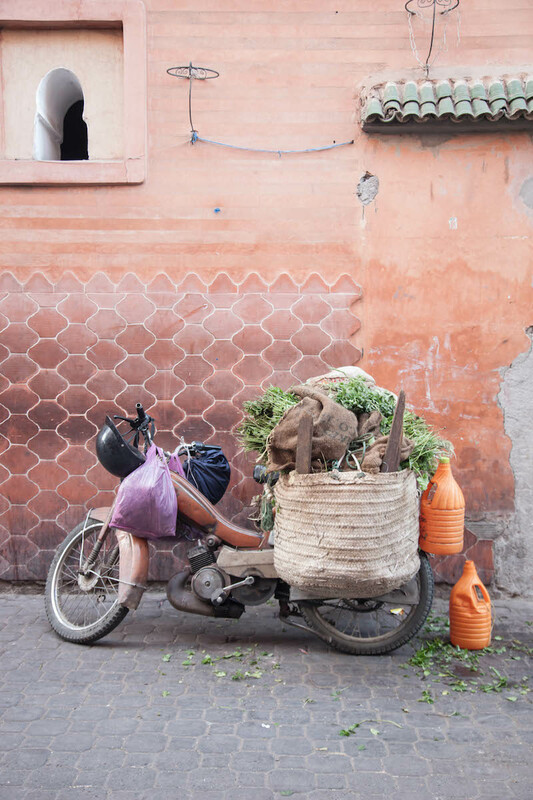 Marrakech is a vibrant, bustling city bursting with charm and charisma. 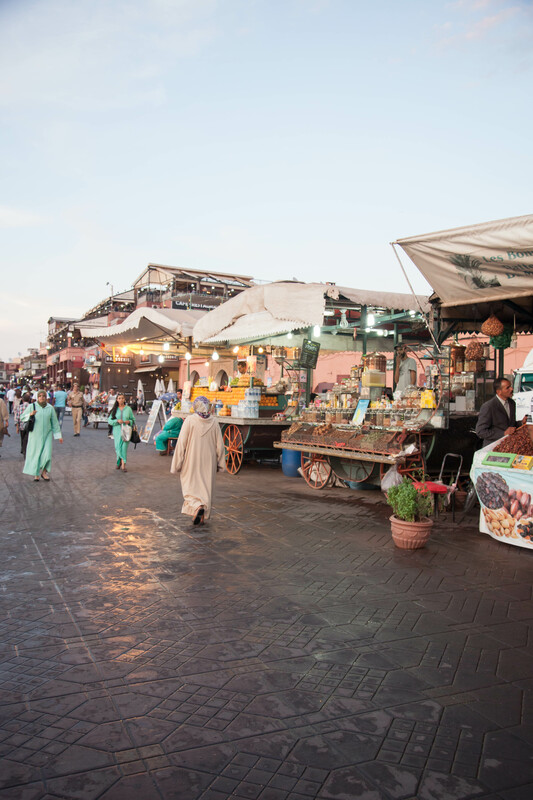 The Medina, the old centre of the city, is a myriad of action, from shops dripping with textiles and antique Moroccan curiosa to the buzzing market offering fresh dates and orange juice. It’s electric with energy which is both enthralling and at the same time a little unnerving. Capturing this city was no easy feat. I found out very quickly that the locals did not appreciate being the subject behind my lens and were often aggressive at the mere sight of a camera. As much I wanted to capture everything around me and show you guys the energy and vibrance of this incredible place, I found photographing to be a very stressful activity that I only really attempted on two occasions, in the early evening because it was so bright during the day, and was pumping adrenalin on both occasions from the speed at which I needed to work in order to capture everything around me without being verbally abused by those in my frame. 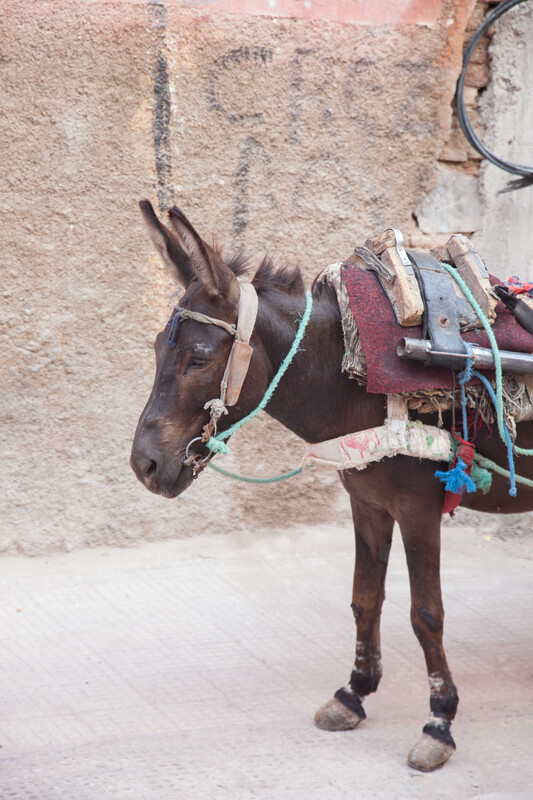 Donkeys would come out of nowhere, so between that and people shouting profanities at me, it was a short-lived exercise! 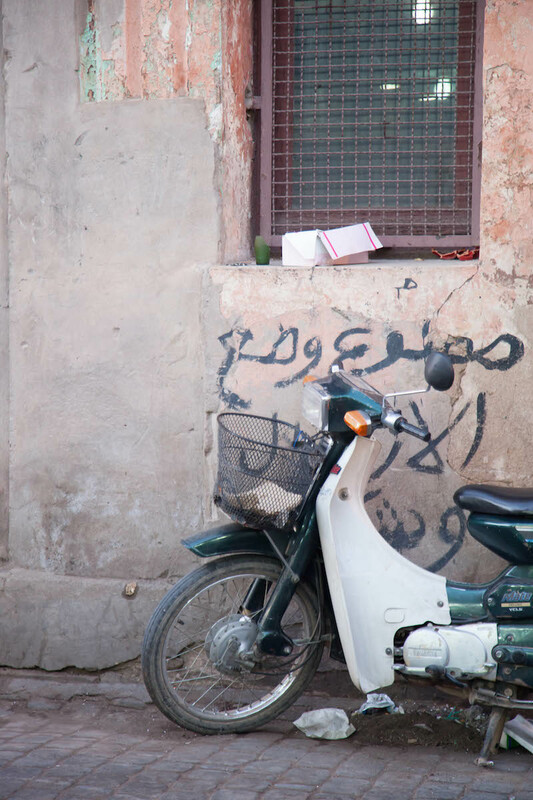 Before we went, we read all sorts of things about what to wear to survive the heat and avoid attracting unwanted attention. 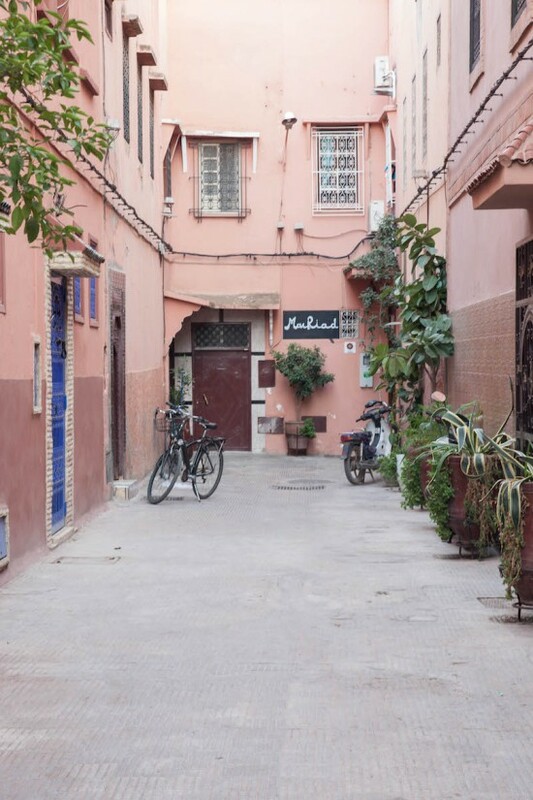 I was worried about our safety but we were pleasantly surprised at the kind, genuine hospitality we were treated to, from the people working in our riad to the restaurant staff, we were humbled by kindness every single day. 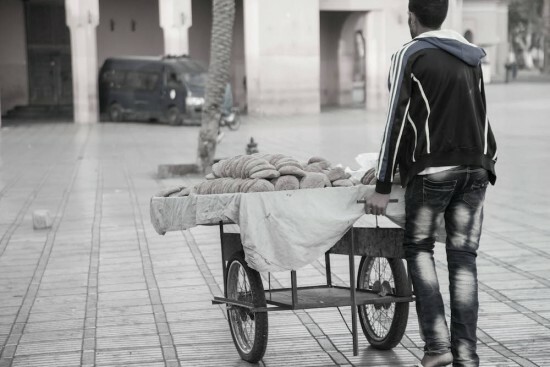 We dressed modestly, being sure to cover our shoulders and knees and everything in between, and we were not subject to any attention other than what one world normally expect from shop vendors wanting to sell their goods. This type of attention we found alarming at first, when we were approached by a shop vendor and beckoned into his shop, but after a day or two we became used to it and knew how to handle ourselves. 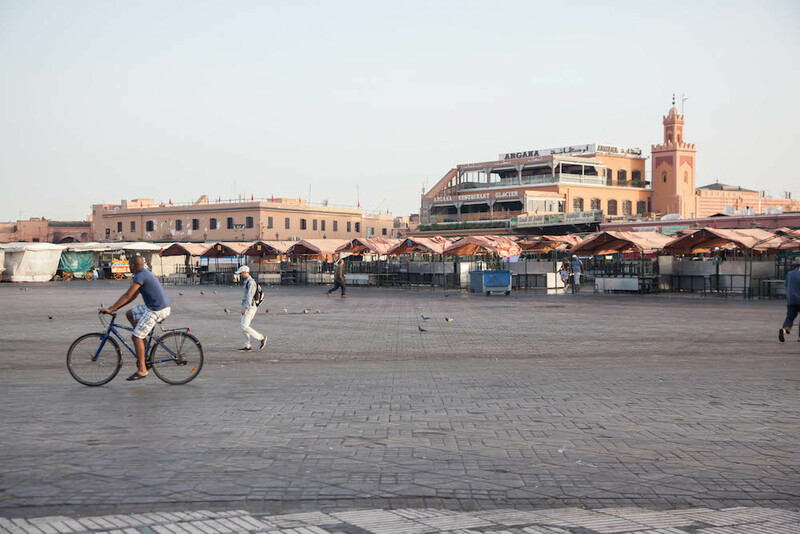 We became experts at avoiding eye contact, particularly on the market square where women approach you (aggressively at times) offering henna tattoos and monkeys perform comical acts for money. 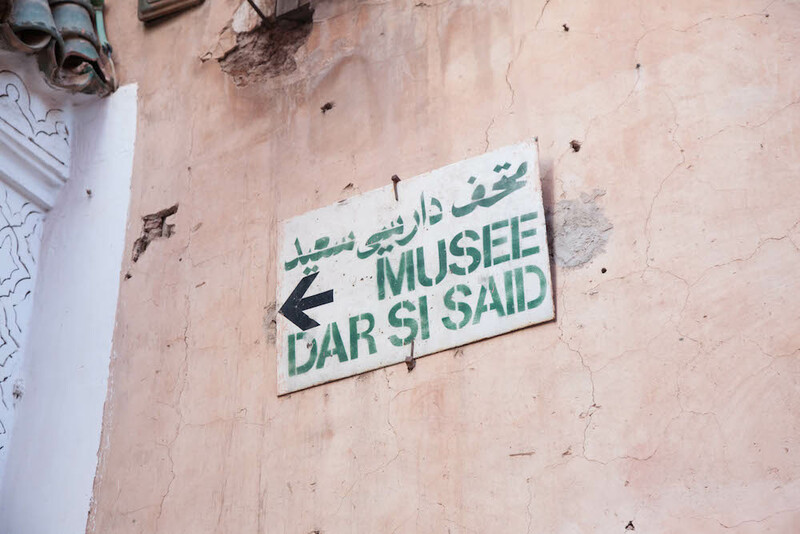 We learned fast that eye contact, or worse still, responsiveness, was a sure way to attract the wrong kind of attention and had heard from the staff at our riad that it could even lead to being forced to hand over money – sometimes with force or a crazed snake held up to your face! 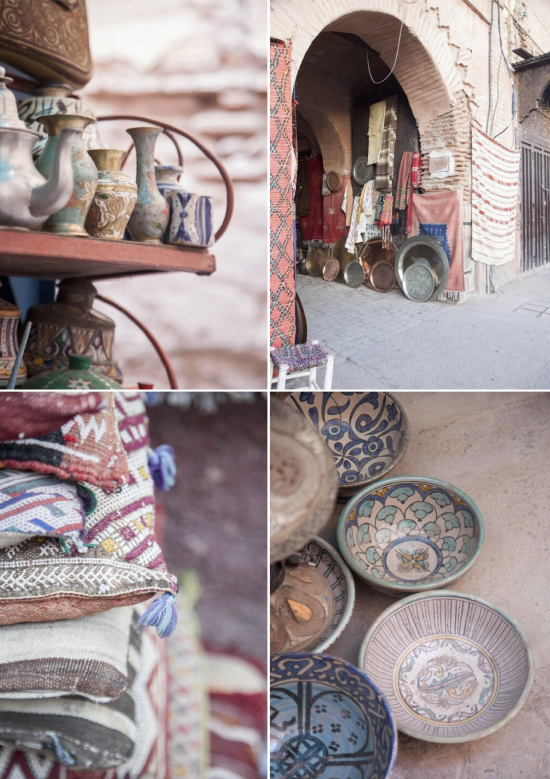 Fear kept us looking straight ahead, but once we were off the market square and roaming the souks, we were charmed by the attentiveness of shopkeepers and needless to say, the beauty of their products. 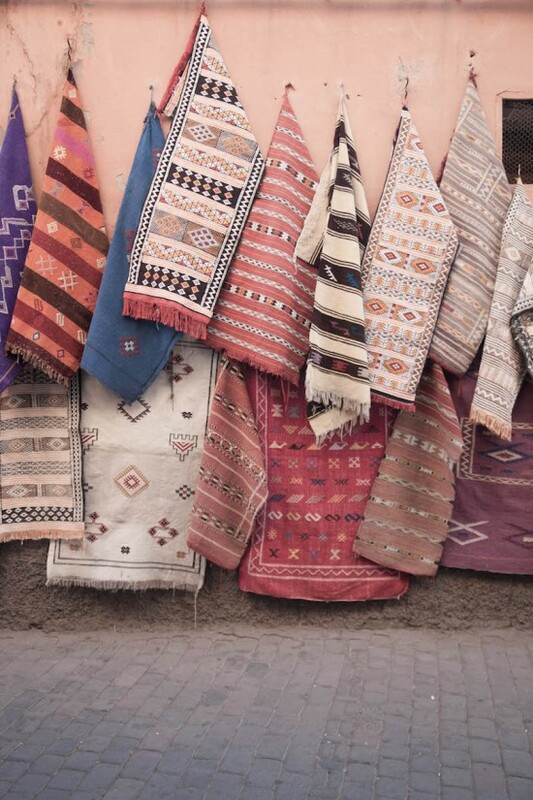 I left my heart and soul in that place, exchanging them for breathtaking textiles that I (and the clients I was buying for) will treasure forever. A fair trade, I think. I bought a lot. 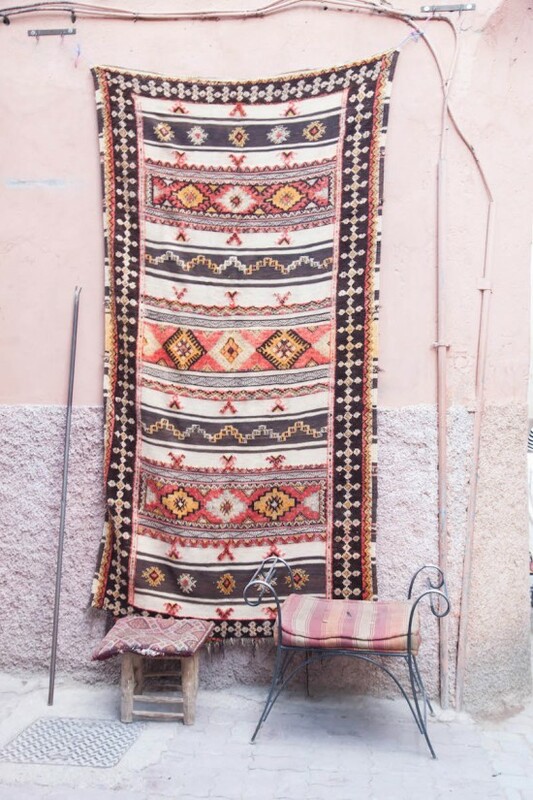 In total, about seven rugs, ten cushions, three wool blankets and several vintage textiles that can be used for anything from art to upholstery. Most of it has been allocated to projects I am working on at the moment. 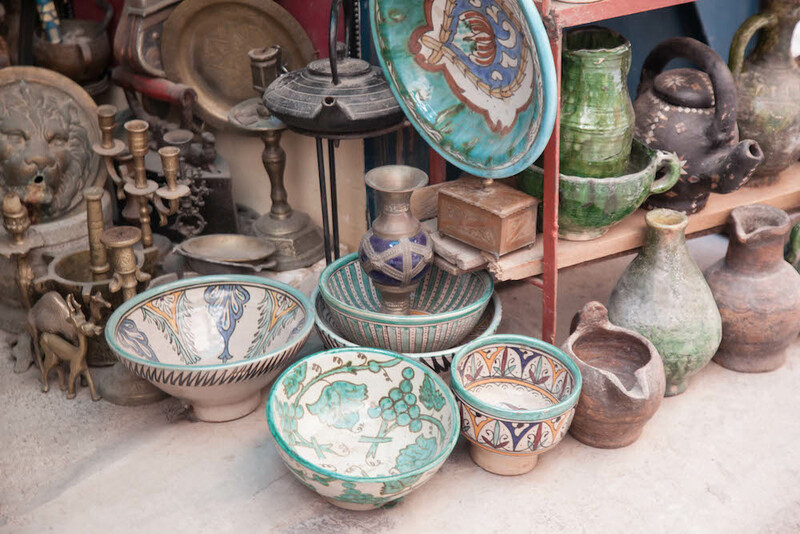 Realising the amazing opportunity to acquire one-of-a-kind pieces there VERY quickly, we hired the help of a guide to help us navigate the souks and find the best dealers. 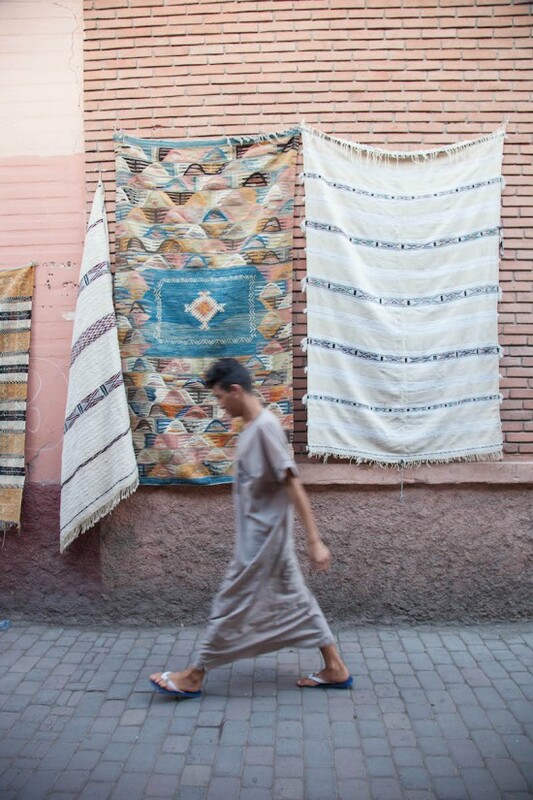 This is something I would highly recommend to anyone looking to shop Marrakech. 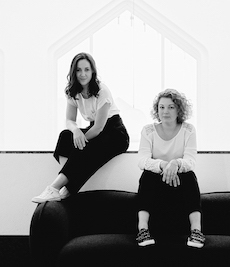 Having a man beside us was a game changer, swapping appreciative whistles, inappropriate comments and nerve wracking attention from desperate shopkeepers with respect and humility. 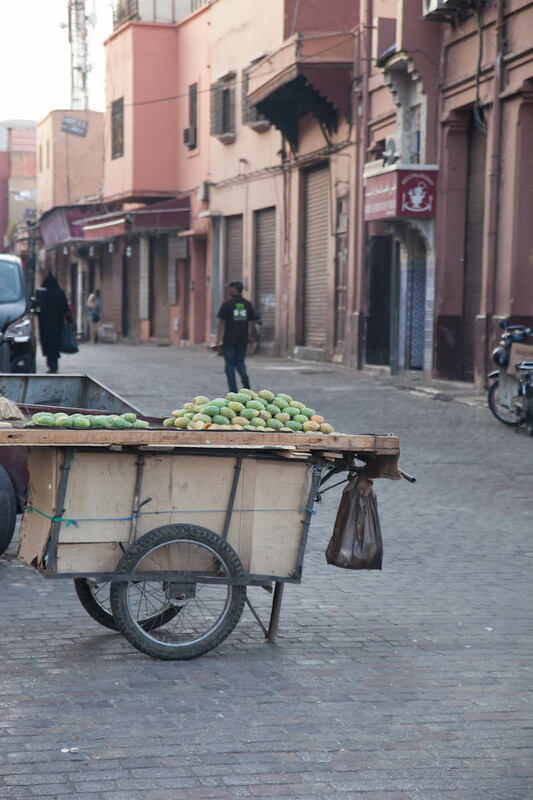 Having him guide us through the Medina gave us the freedom to wander at our own pace and make better choices when it came to shopping. Most riads will have a list of guides for hire. We learned that it is against the law to hire an unofficial guide for safety reasons so you will always be referred to an official who you can trust. I found out pretty early on that can drive a pretty hard bargain. 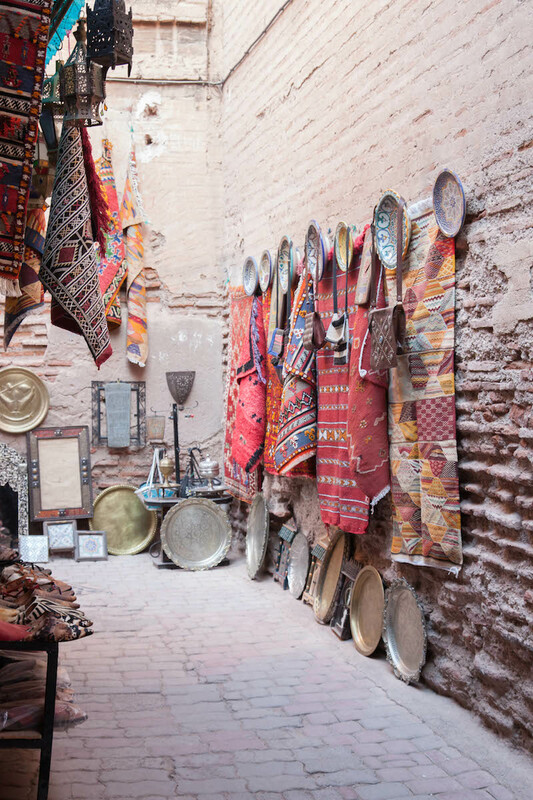 I have read prior to the trip that haggling over the prices of goods was fairly custom, and depending on how much you want the product, how much time you have and how willing you are to argue with a Moroccan (or three) in 40 degree heat, you could snag yourself a pretty good deal. 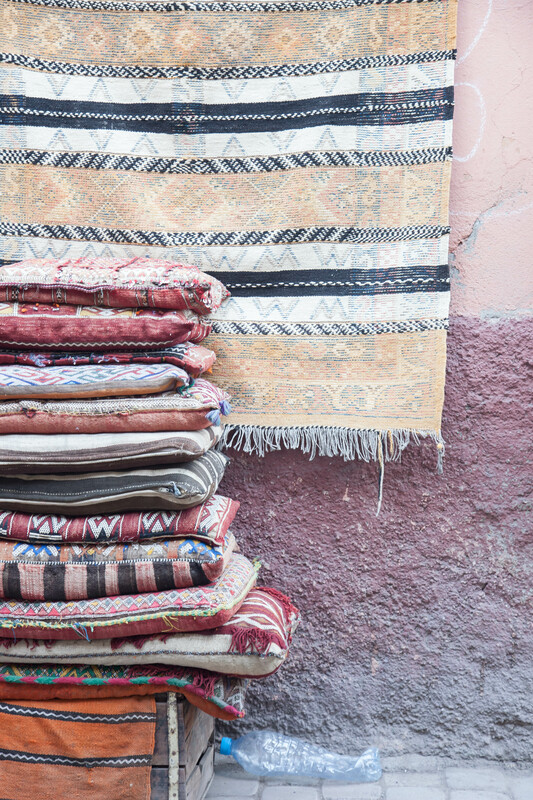 At one rug dealer, I spent four 4 hours haggling before closing a deal. My husband will be the first to tell you that I am not one to cave in the face of a challenge and can be incredibly stubborn and strong willed at the best of times, so I suppose that worked in my favour! Purchasing was a thrill and a game that I thoroughly enjoyed. The way it goes generally is you select your items, with the help of the shopkeeper and his attendants. 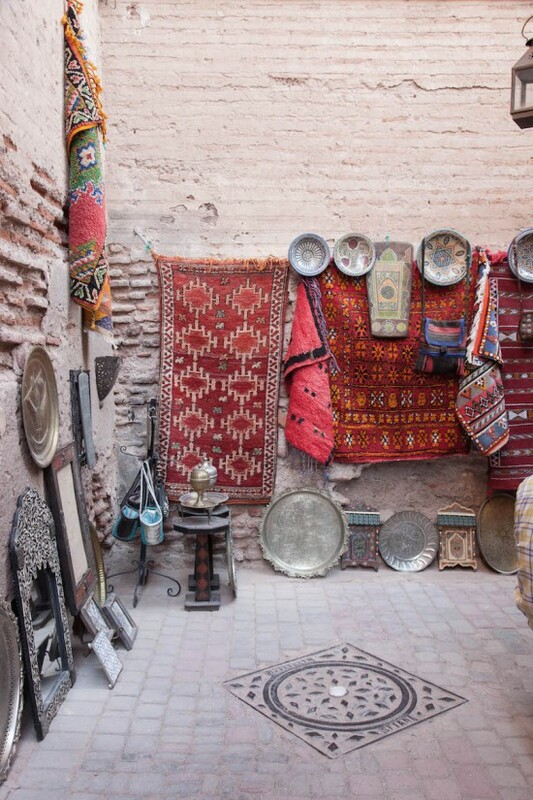 You can look at every single rug in his shop if that’s what you want. They will not complain, and you will likely be offered Moroccan mint tea while you browse the collection. When you have selected your pieces, you are given a calculator. Both you and the shopkeeper will have one. The shopkeeper will begin by typing in an opening price on his calculator, showing it to you. You look, laugh and then present him with a counter offer which you have typed onto your calculator, presenting it to him with a your best poker face. This should usually be about 20 percent of the asking price. He will repeat your own response, laughing at your hideous offer and telling you that he will give you a “diplomatic price”. He will shoot you a counter offer, but it won’t be much lower than yours, and here begins the game. If you have a lot of time, willpower and patience you can settle at 50 percent of the initial price. 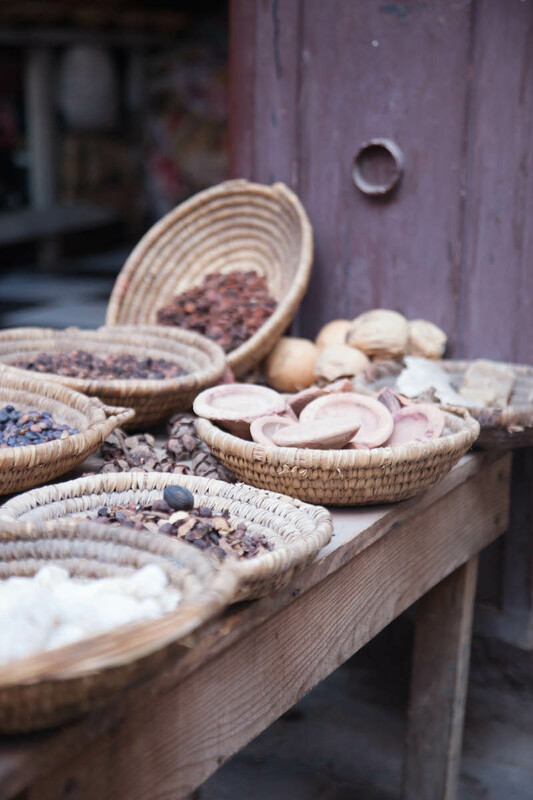 I have settled at much lower than that and it can be done, but it is a time consuming process and will require you to be OK with walking away from the shop without the product. Doing that will get their attention and have the shopkeeper chasing you down with a counter offer. Every day we willed ourselves not to shop, but somehow ended back in the souks and carting more and more back to the hotel each time. 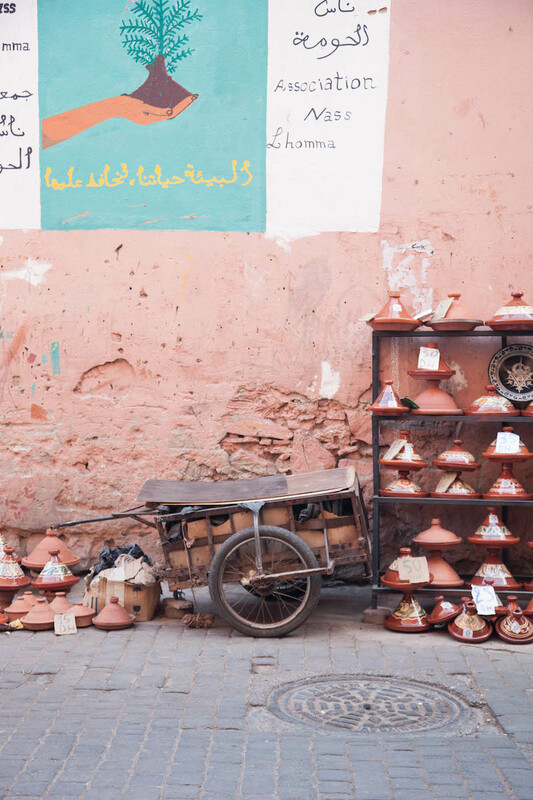 But shopping aside, the tajine is so incredible you will want to eat one for breakfast, lunch and dinner which is pretty much what we did for the entire duration of our stay. At one restaurant (which I can’t for the life of me remember the name or location of, sorry! 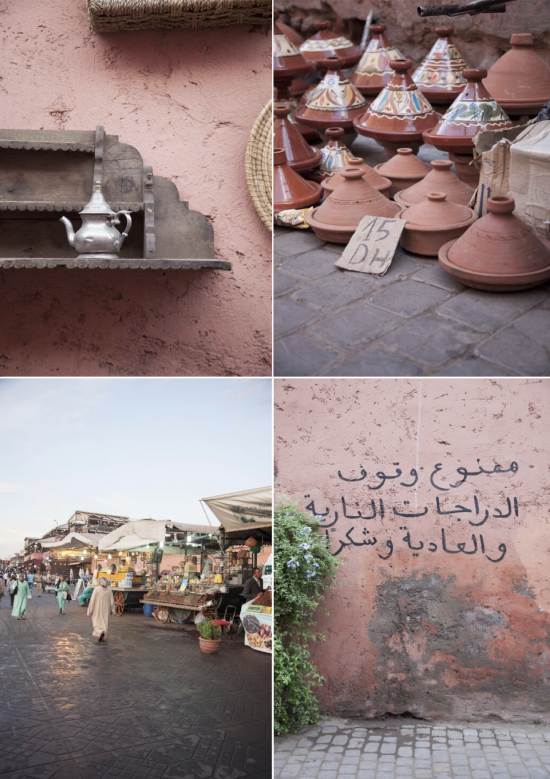 ), we each ate two lamb tajine’s for dinner simply because it was so so delicious. We rolled home that evening. 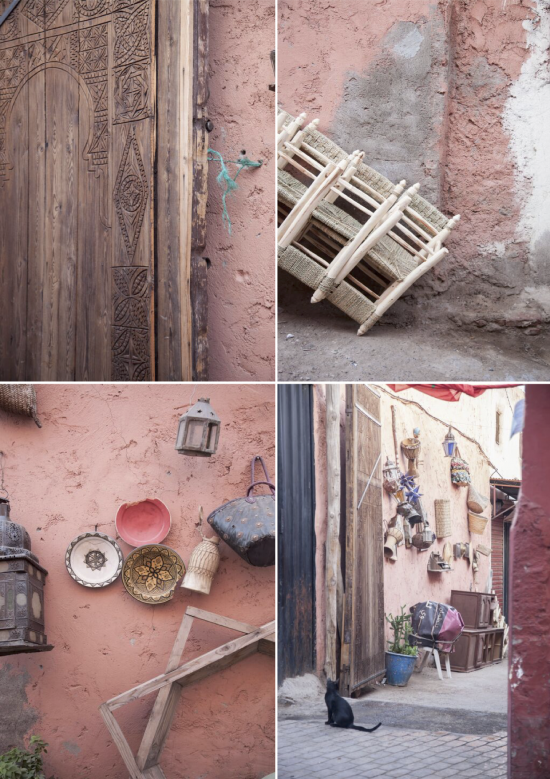 Because we spent so much time shopping the souks, we didn’t do too much else apart from reading and relaxing in our riad. 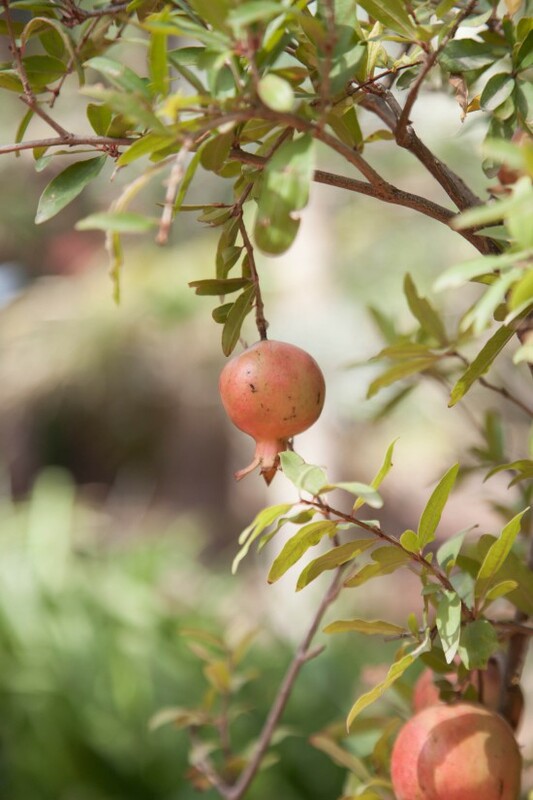 We tried to avoid the typical tourist attractions, except for a visit to the Yves Saint Laurent botanical garden, which we had read were very beautiful. 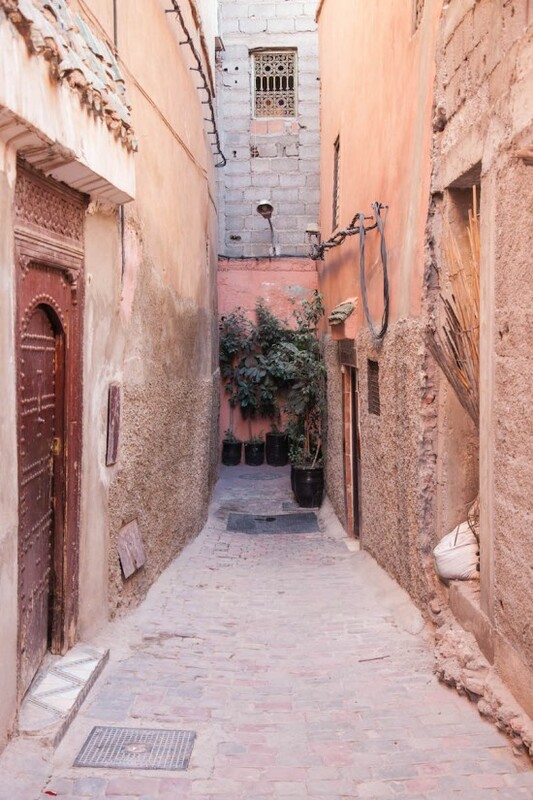 It was, and the serenity inside the garden was a welcome diversion from the bustling markets of the medina. We got there by horse and carriage, dodging traffic and pausing at traffic lights, and it was a bumpy but delightful ride. You can haggle on the price of the carriage ride too, by the way. We were tired after having spent days haggling in the souks and found the process a little tiresome. 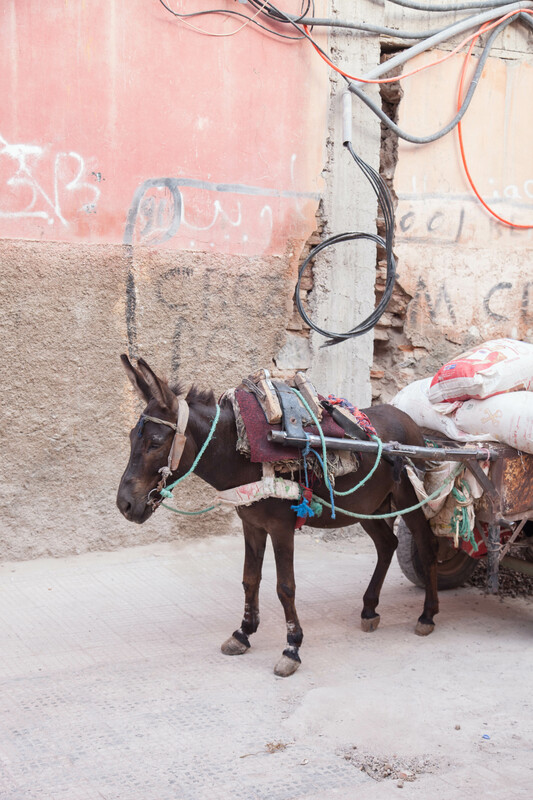 Standing amid fifty horses plus their excrement warming under the heat of the North African summer sun discussing foreign currency with a passionate geriatric Moroccan in the sweltering heat is not my idea of fun, I can tell you. Those five days were pure magic and stimulating for all of the senses, all of the time, which I loved and will be returning to before too long for the sights, sounds, people and craft that stole my heart. Loved reading this Holly and really beautiful pictures as always! Thank you, Jonne. It was such an incredible few days. Writing it all down brought all the magic back again. Now to get back there! Hello holly, following you since à year or so, i must say this is à so lovely written about that magical land. I ve been there several times and recognize so for real all you’ve been wrriting. Thank you for your Posts. You really inspire me style wise. I am a big fan and always looking forward for new Posts.